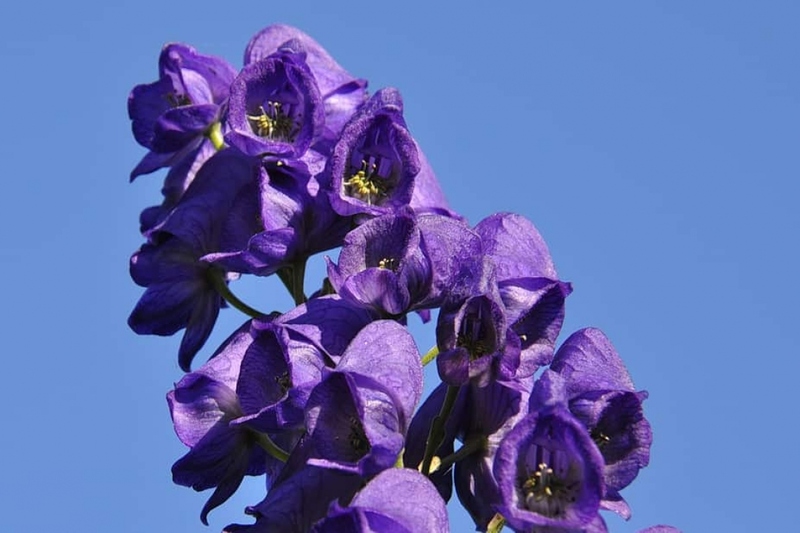 Aconite (Aconitum napellus): identify and learn about your plants with Groww. Aconitum napellus - Aconite, monk's-hood or wolfsbane - is a species of flowering plant native to western and central Europe. It is an herbaceous perennial plant growing to 1 m (3 ft 3 in) tall, with hairless stems and rounded leaves 5–10 cm (2.0–3.9 in) in diameter and dark purple to bluish-purple helmet-shaped flowers, 1–2 cm (0.39–0.79 in) tall.